NEW! 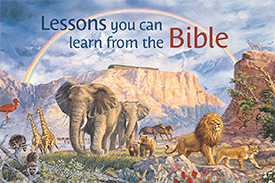 Features the 2019 yeartext on the front and weekly Bible reading schedule on the back. Set of ten-two each of five. Size: 2 1/4"x 6 1/2".